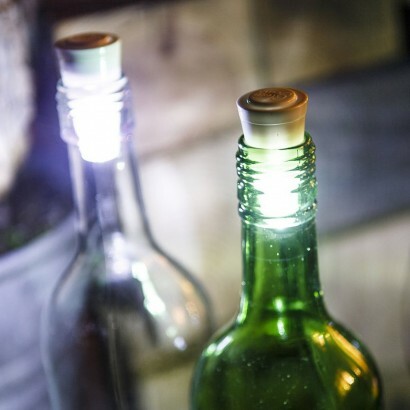 Turn your empties into a light with glow corks! 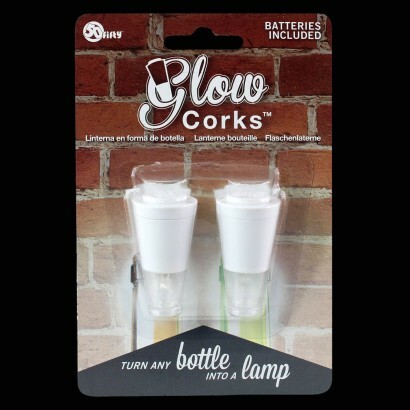 A twin pack of glow corks, each bottle stopper contains a white LED that shines into your empty bottles turning them into handy garden lamps. 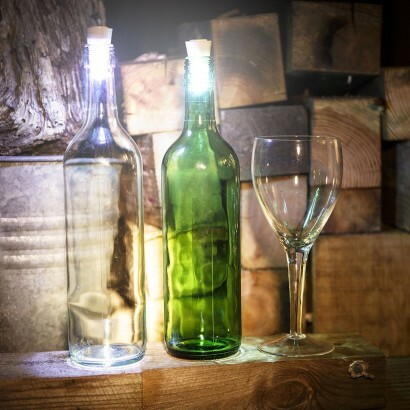 Simply push the top of the glow cork down to activate and then place in the top of your empty bottles and you have an instant lamp that's handy for the garden or for camping trips.